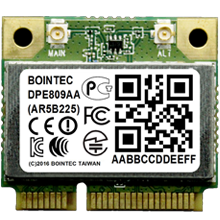 Bointec DPE808AA is the combo solutions of WLAN 802.11 b/g/n and Bluetooth 4.0 solutions.DPE808AA truly provide great advantages such as cost effective solutions, the lower power consumption, small size based on the half miniPCIe card, the wide temperature tolerance and several significant EMC certificates according to different areas. Therefore, customers can use these benefits in order to add or create more value on their current and future product line. Regarding the communication, DPE808AA support IEEE 802.11 b/g/n so as to achieve the max throughput 150Mbps or 300Mbps based on optional 1T1R scheme. 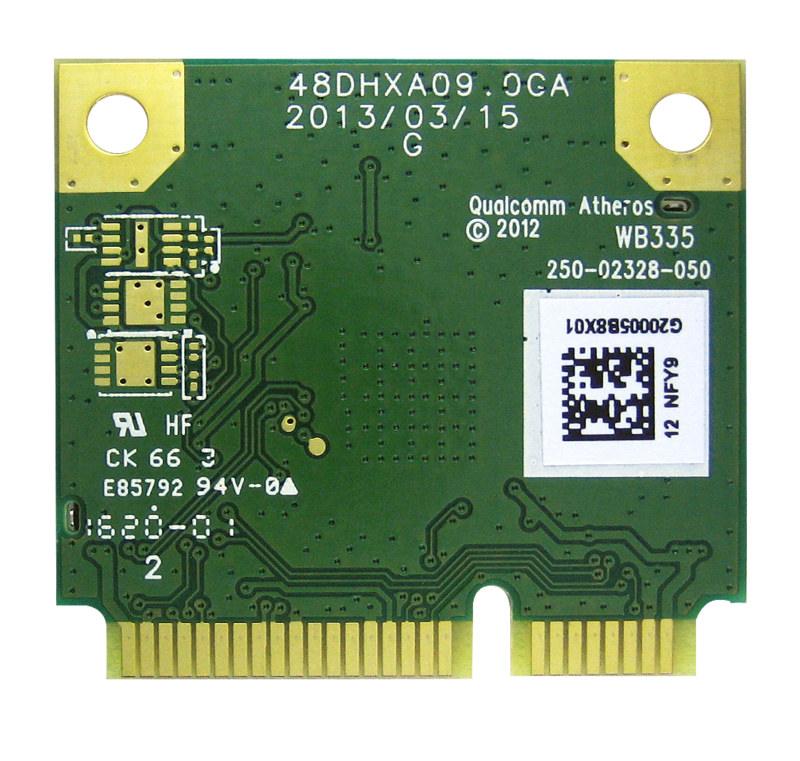 Besides, it can achieve Bluetooth 4.0 standard with single mode feature. 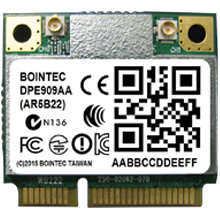 Considering the applications, Bointec DPE08AA can truly fulfill the current markets such as industrial field, automobile and commercial field. Especially, it can meet requirement of the IPC, semi-rugged or consumer products due to the great tolerance of temperature. 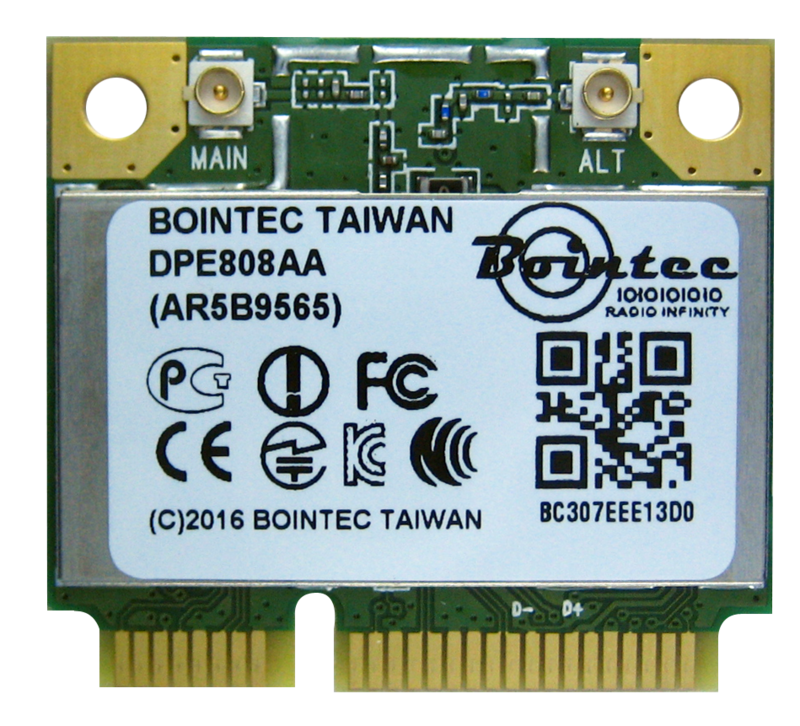 Additionally, Bointec can provide the full support of DPE808AA including the hardware and software. Thus, it is definitely easy for all our clients to deploy and use the DPE808AA according to our quick guide. ◆ The maximum current consumption would be impacted by radiation environment and the driver mechanism.